CSG are a leading provider of managed technology, print and cloud solutions that help businesses maximise productivity, reduce costs and drive flexibility and agility. Argus Heating worked with CSG to develop a solution to reduce the dampness that often causes paper jams in printers. 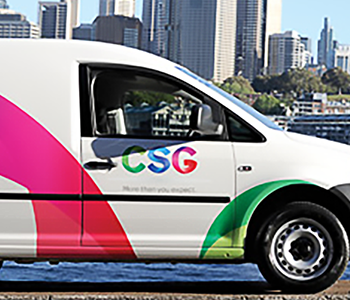 CSG's technicians and their customers are very happy with the results. Damp paper inside office printers can reduce reliability and cause problems such as paper jams to occur more frequently. For the Konica Minolta printers being supplied and serviced by CSG, the genuine heater kit from Japan required a transformer box and heater pad, which was very expensive and could only fit certain models. 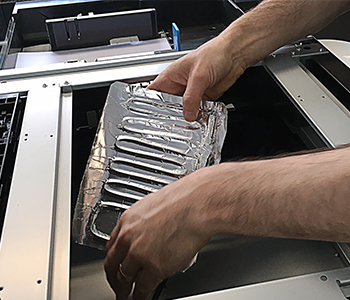 Argus Heating developed a custom adhesive foil heater that is cost effective and easily installed into the Konica Minolta MFD printers by CSG's technicians. They install the paper heater kit into every MFD as it is set-up in the workshops nationwide. CSG's sales team find new customers are very happy to know their new MFD has a heater kit as damp paper has traditionally been a big problem in New Zealand. CSG's technicians report that the reliability of the MFDs has increased significantly since installing heater kits. “I have never been back to a machine after installing a heater kit, nor have I been to a paper dampness issue on any of the machines going out of the workshop since installing the heater kit in them as part of the normal setup."